New Vehicle Merchandising - Automotive Inventory Photographer | CarData Inc. The sheer volume of media out there today is staggering. In the next 20 years, it is conceivable that the whole landscape will have changed in dealership vehicle merchandising, just like it is completely different today compared to the last 20 years. In that time, we have seen a massive change in the way people buy cars and how they go about the car buying process. These days the average buyer is more likely to shop much longer, wait for deals, and consider practicality. It takes buyers months to buy a car and they undoubtedly search through thousands of images online. At CarData, we proudly offer automotive dealership photography services in Florida and the surrounding states. 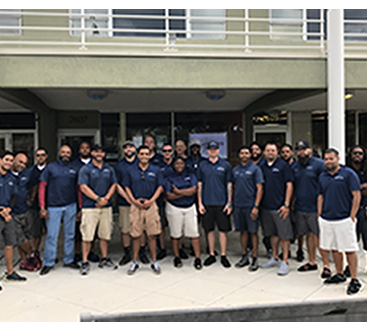 In addition to Florida, we proudly serve the needs of dealerships in Texas, Alabama, Georgia, South Carolina and soon to be much more! 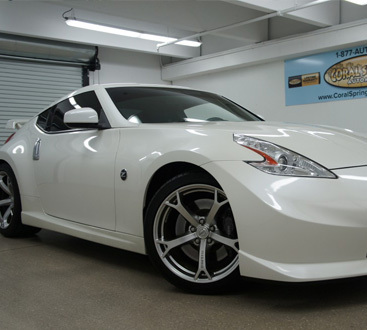 We credit our success to the fact that we know exactly what it takes to make a vehicle look as good online as it does in person. We have helped thousands of dealerships all over our service region, increase leads that may turn into conversions. Since the beginning of time, humans have traded, they used to trade with colorful shells and other valuable items. Word has it that Manhattan Island was purchased from the Native Americans for a bunch of beads that were worth about 25 bucks. Of course, that is likely a joke that has taken on a life of its own. But how excited were the guys who brokered the deal? They were probably thinking that they basically just got an incredible piece of land for next to nothing. That is how every car buyer wants to feel when they leave a dealership, unfortunately most buyers report that they, “would rather have a root canal,” than buy a car. Being the dealer, getting people to walk on the lot is key to getting them to buy once they get there. You have to convince them that the dealership’s new vehicle is worth giving you a large chunk of their money. It can be a challenge to say the least, for both parties. Despite all of the stigma attached to car buying, most consumers are happy with their purchase and none of this would be possible without effective marketing. And effective marketing starts with quality images. In the grand scheme of things images have become much more disposable than they once were, particularly photographs. It used to be, in the old days, if you wanted to sell a car off of your lot, you had to take a picture, have it developed and then submit it to the newspaper for a print ad. The problem with that situation is that both photos and newspapers are instant now and there is no lag time. We offer pre-detail photos, so within minutes you can have an image up online and attracting potential buyers. Of course a pre-detail image will need to be updated as soon as the detailing has occurred and this is the moment when CarData truly shines. We stage the photo to best represent your dealership as well as the car itself. No more shots in the alley out back by the dumpster. Want to have yous brand in the picture? No problem! We offer a wide variety of photo branding options so the client knows exactly where to find the new car of their dreams. After all, you would not set a detailed car on your lot without the proper branding. Why post it on your website that way? Branding is your livelihood, a representation of all of your hard work. So, whether you sell a thousand vehicles a month or one a week, we care about your brand and how it is represented. You can trust CarData to produce beautiful, accessible, and desirable images. After all, at the end of the day, we are professional photographers that really love cars. We have done all of this with our commitment to our clients and their business. We truly believe in what we do and the effect it can have on a dealership. We see our photography and video services as a way to elevate the dealerships that we serve and increase their business. It is what we live for and we think you will agree that we are pretty amazing at it. We offer everything from simple photography services, to interactive, 360 degree walk-around features. We have partnered with SpinCar to feature an intuitive vehicle walk-around feature that virtually lets you inspect the exact car that you had your eye on. You can open the doors, pop the hood, and even check out the view from the back seat all from a few clicks from your phone. Eventually, this technology will be available to mainstream on virtual reality devices and this will open up a whole new level of new car sales. Much like the internet of the mid 90s, CarData will stay connected to the latest marketing tactic and keep our customers happy. 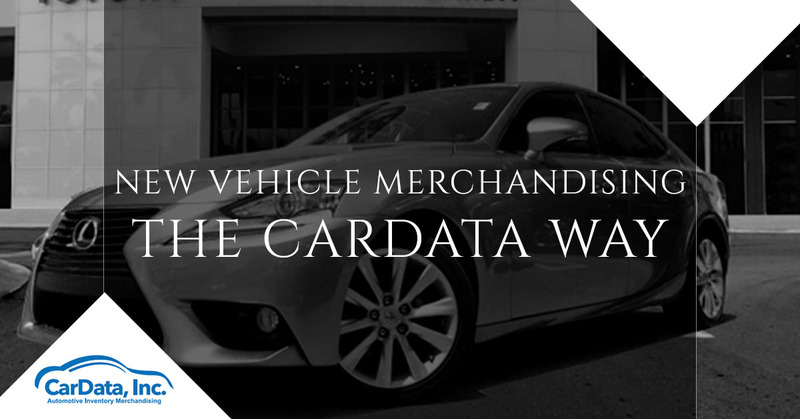 If you are ready to take your new vehicle merchandising to the next level, there is only one choice, CarData. Be sure to contact us today and get your new trades from the weekend online as fast as possible. We have no doubt you will agree, your inventory has never looked better.